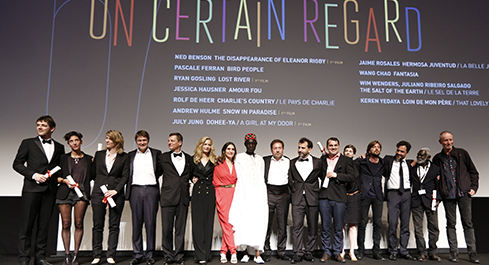 Un Certain Regard 2014 presented in competition 20 films hailing from 23 different countries. Seven of the works were first films. The Opening film was Party Girl by Marie Amachoukeli, Claire Burger and Samuel Theis. Under the presidency of Pablo Trapero (director - Argentina), the Jury was comprised of Peter Becker (president of The Criterion Collection - USA), Maria Bonnevie (actress - Norway/Sweden), Géraldine Pailhas (actress - France), Moussa Touré (director - Sénégal). The Jury was honored and delighted to have been able to view over ten days so many excellent films testifying to the diversity and vitality of filmmaking in the world today. They were also impressed by the vision and originality of the works presented. Rights still available. Coproduction Office is handling international sales. Rights still available. Le Pacte is handling international sales. Rights still available. Pyramide International is handling international sales. * needs to be translated to English.